As many of you know who have been following my frustrations with software, trying to find the perfect tool to manage my genealogical research, I’ve tried many different products (Roots Magic, Mac Family Tree, Heredis, Reunion, and more). I use a Mac, and I’ve never been happy using a Windows product on my Mac using windows emulation products. I used Reunion 11 for several weeks and feel that I learned the good and the bad of it. The process for my handling sources and applying those sources to facts that I enter for individuals is really good. The bad, I’ve not been successful importing a GEDCOM file into Reunion and having the media associated with a source connecting properly. Taking the time to reconnect the media is time-consuming and frustrating. The other issue I had with Reunion was the reporting. What I like to do for my blog is have the software generate a fairly reasonable outline of an individual and then I can rewrite the outputted draft story of the individual into a form I like better and add other details. I found Reunion didn’t provide a particularly good draft story. I recalled from my previous use of Heredis 2015 that it seemed to write a draft life story much better, because of that, I thought I’d give it a try again and I’m much happier with the results. Although the GEDCOM export from Family Tree Maker and the subsequent import into either Reunion or Heredis seemed to be similar, reconnecting media to sources seems to be easier in Heredis. So, because of my experiences with both products, I’ve decided to return to using Heredis as my primary tool for managing my family tree. Is it perfect, no, but it seems to be the best for me. The biggest negative issue is the complete lack of management of to-do or task lists. I can easily overcome that by using another program to do so. I have long used Evernote to document interesting information I find. I can readily adapt it to act as my to-do and genealogical tasks. Probably even better than most genealogical programs. I also can use vJournal (an Evernote plugin) to document my research activity. Again, probably better than research logs within genealogy software. So, I think I have my solution. I’ll use Heredis as my Genealogy management software. It will relate my electronic media with my sources and relate them to individuals as appropriate. Then I’ll use Evernote to manage my to-do tasks. I’ll use vJournal for a research log which will store its information in Evernote. Finally, I’ll use Heredis to export reports that contain the basics of an individual’s life story and also provides the endnotes citing the sources of each item I rewrite using Microsoft Word. I think it is a good plan. Marion Josephine Reed Roos Mowbray is the first individual I exported a biography sheet for and then rewrote it for my style of writing. Will I get better with it, I’m sure I will, but I’m happy with the results so far. Marion Josephine Reed Roos was born on 22 December 1898 in Buffalo (Erie, New York), USA, died on 3 September 1977 in Weymouth (Norfolk, Massachusetts), USA, aged 78[i]. She is the daughter of Edward H Roos (1856-1933), aged 42, and Christiana Roos (1860-), aged 38. She was the youngest of five children. The family consisted of four children (2 boys and 2 girls) all born in the five years between 1880 and 1884. Then was a 14-year gap when Marion was born. Alfred University is about 90 miles southeast of her home in Buffalo. 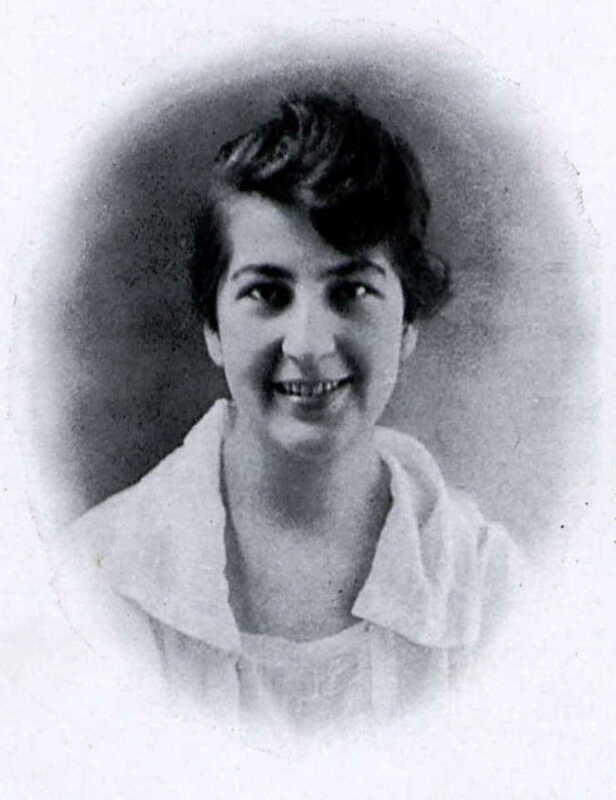 The 1920 Census reports her still living with her parents at 584 Linwood Ave in Buffalo (Erie County), New York and working as a grammar school teacher; however, she was still attending Alfred University, and was the Junior Class president and the editor-in-chief of the “Fiat Lux”. [vi], [vii] Because the 1920 Census was enumerated on 1 January, I believe Marion was probably home during the Christmas break, which would make sense. In 1929, their first daughter (living) was born in Massachusetts. Their second daughter (living) was born in 1934 also in Massachusetts. Sometime in the 1950s, the family moved to Weymouth (Norfolk County), Massachusetts. Marion’s husband, Elmer, died in 1974 in Weymouth, MA. Further information regarding Marion Roos Mapes and an Ancestry tree are available at http://person.ancestry.com/tree/71471944/person/38235800431 .